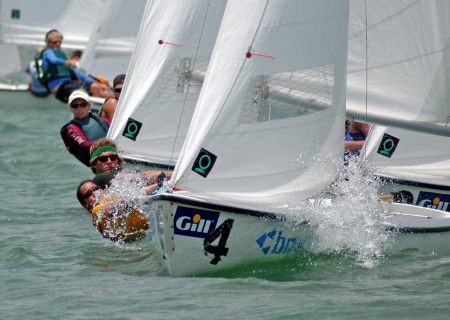 The Club FJ is a tough, agile performer for beginners to elite sailors. 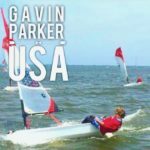 The Club is a fantastic choice for clubs and junior programs looking to introduce young sailors to double-handed sailing with a spinnaker. Our Collegiate version (no spinnaker) is the most popular boat in college sailing. The Club FJ is a tough, agile performer for beginners to elite sailors. 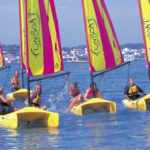 The Club is a fantastic choice for clubs and junior programs looking to introduce young sailors to double-handed sailing with a spinnaker. 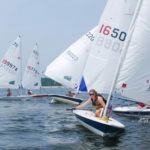 Our Collegiate version (no spinnaker) is the most popular boat in college sailing; more collegiate sailing teams in North America sail our FJ than any other double-handed sailboat. The International Flying Junior or FJ is a sailing dinghy which was originally designed in 1955 in the Netherlands by renowned boat designer Van Essen and Olympic sailor Conrad Gülcher. The FJ was built to serve as a training boat for the then Olympic-class Flying Dutchman. 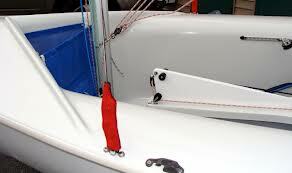 The FJ has a beam of 4’11” and an overall sail area of 100 square feet (9.3 m2). 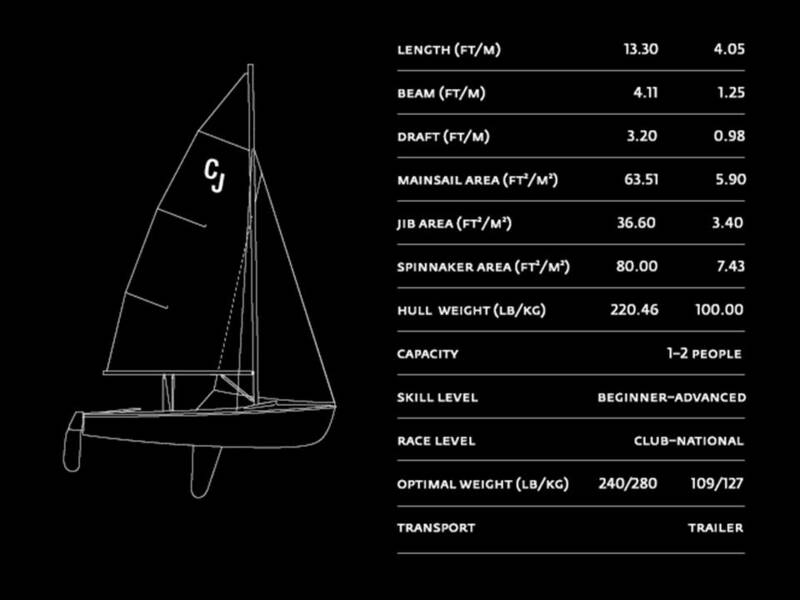 These dimensions make the FJ an ideal class to teach young sailors the skills of boat handling and racing. 3:1 boom vang with heavy duty mast and boom sails. Hardware is through-bolted and backed with oversized stainless washers and locknuts. Full seat tanks for comfort and plenty of buoyancy. 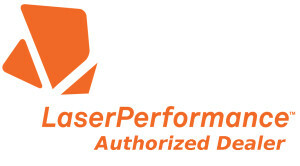 Hull and deck are bonded together with Plexus, a super tough Methacrylate adhesive. Newly-designed rudder head and tiller. Deep, rounded hull shape; tacks easily and accelerates quickly. 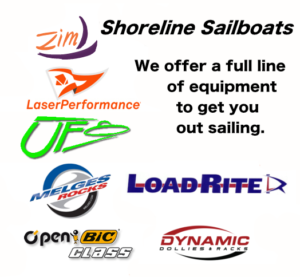 State of the art sails by North made with medium tempered 5 oz. cloth. 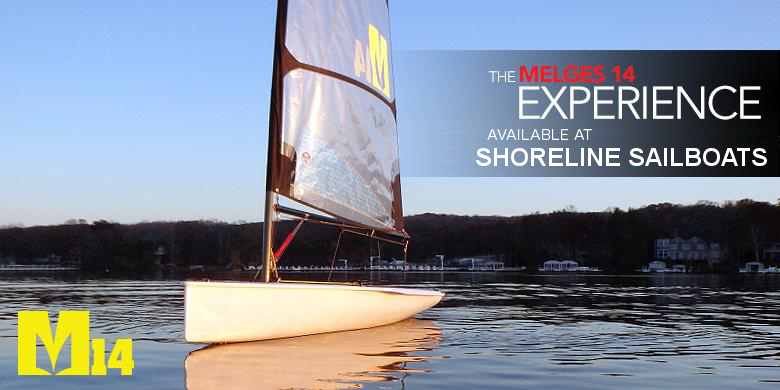 Non-tapered one-piece mast with external halyards is virtually indestructible. Custom-designed heavy-duty rigging including oversized shroud adjusters and pins. Unidirectional knitted fiberglass thorughout hull and deck for ultimate durability. The Club FJ has a Vela gray hull and deck.